Hello All, I would like to share some memories of BM with all of you. 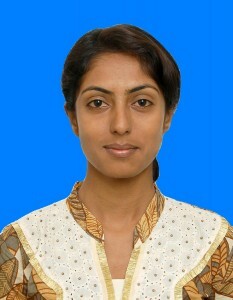 I am SHARAYU from India. I have completed my BE in Computer Engineering from Datta Meghe College. As other pass-outs I too was searching job after completion of BE. I came to know about Beyond Management from my training and placement faculty. It was last week of December 2010, when BM came for campus recruitment in my college. As it was US company everyone was ready to face the interview with complete zeal and enthusiasm. There were two batches. First batch had already completed its GD and aptitude test. I was in second batch. Firstly there was an aptitude test comprising of quantitative and English questions. The test was of 1 hour. After 2 hours, Group discussion took place. The topic that was given to me was ” India better as unity or individual”. I tried my best to present my view about the given topic. Then I got a face to face interview. I faced all the rounds with complete confidence and honesty which served as the unlocking codes. After 5 hours of wait, when I was told that I was selected, my joy had no bounds. This was the best pal in my life and I was very happy couldn’t wait to tell the news to my parents. I was given an introduction about Beyond Management. Within two months our application process started. The administrative stuff guided me throughout the procedure. They cleared every smallest,biggest & silliest queries of ours. Now I am ready to come and I am eagerly waiting to serve BM with complete handwork & dedication who has given me a chance for international exposure.